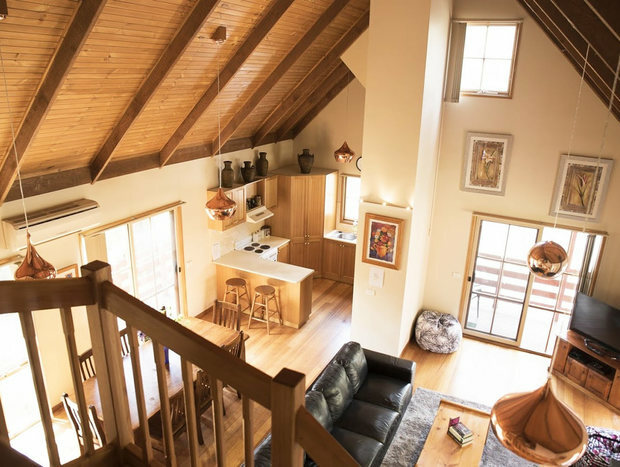 This western red cedar two storey loft house is situated at the base of the pinnacle walking track at the Grampians National Park. 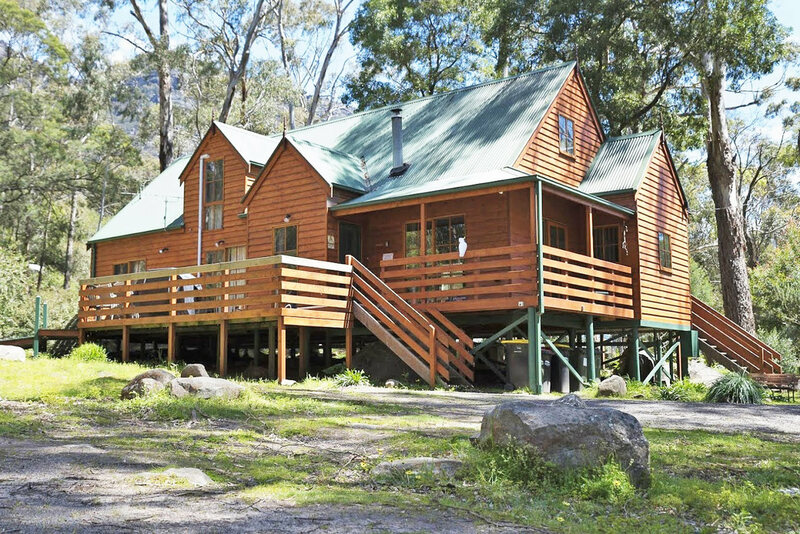 Soak up the picturesque views and relax surrounded by nature. Pinnacle Loft is a beautiful red cedar house. You breath easily here. It feels different from concrete, brick or veneer houses. The high wooden ceilings adds more air and create spacious and relaxing atmosphere. The wood heater will heat up the area very fast during cold times of the year. Watch the flames and enjoy the cosy and unique atmosphere. There are 4 bedrooms, one is located upstairs and has its own en suite, three on the ground floor. The main bathroom has a spa bath and a separate toilet. A fully equipped kitchen and laundry also help to make this place like a home away from home. - DVD and CD discs with video, music, games. 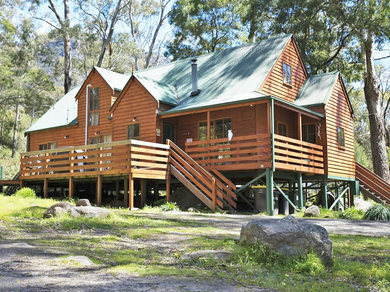 Explore the Grampians National Park – discover a series of rocky sandstone mountain ranges and spectacular forests rich with wildlife. 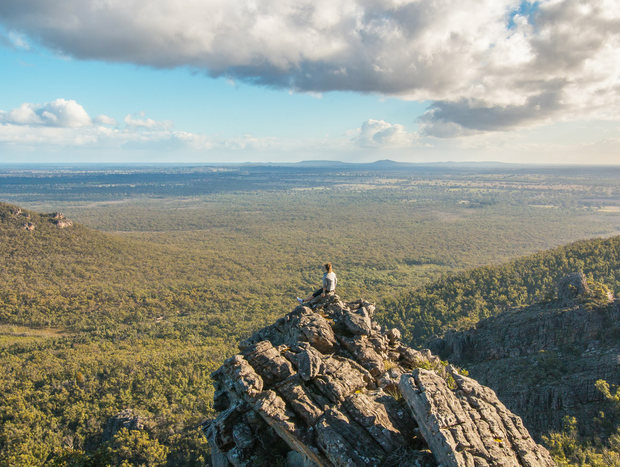 There are a variety of walks to choose from – Pick from an easy stroll to a full day adventure or even the multi-day Grampians Peaks Trail hike.